Fixed hourly rates are great for short distance moves and when you don’t have a lot of stuff to be moved. These rates usually include truck with 3 movers or truck with 5 movers. It also covers gasoline. You could be charged extras for toll fees. Fractions of an hour are also usually billed as a full hour. You can also hire labor only, meaning moving crew without the truck. Moving companies can charge from $60-$80 per hour for labor. Moving companies’ prices may be calculated based on weight or per cubic foot of your total inventory. They charge on weight but could also have other fees for bulky or light items. This means that the more belongings to be moved, the higher your moving cost. Many movers know that some customers want to save on moving expenses and would like to choose only certain aspects of the move to outsource. They provide miscellaneous moving services including packing services for a fixed rate. Should you hire Movers by the hour? No matter which option you settle on, the important thing to consider would be the size of your move and the distance. For example, whether you are moving your business or household across town, it can be a huge advantage to hire movers by the hour, especially if the move can be completed in 2 to 5 hours. Majority of moving companies require a minimum 2 hours for hourly rates. The best way to know how much do longer distance movers cost is to get quotes from reliable and professional moving companies. However, it pays to have an idea of how they usually charge. Long distance moving prices, in general, are calculated based on shipment’s weight and the distance to be traveled. For instance, a 200-mile relocation could cost you about $0.50 per pound. Long distance moving costs can depend on several other factors and are usually calculated on a case to case basis. Moving companies at times offer lower prices if you move off peak or agree to load your belongings with another customer going the same direction. You can also be charged for packing materials and other miscellaneous fees. This is probably the first question that people ask themselves before a move. Hiring a professional moving company costs a bit more but does have many positive aspects. On the other hand, moving yourself could mean more freedom but greater responsibility. Below are some things to consider regarding differences in price, pros and cons, and some helpful tips, too. You can see the difference between DIY moves and professional moves before deciding which could work better for you. 2 Movers and a 3 ton truck. Note: Insurance is NOT included for items that get broken enroute or injuries sustained during the move. Late fees for the truck apply if not returned in time. As you can see, DIY moves could cost even more than hiring professional movers. You can save yourself from the stress and fatigue. You can make your move more efficient and more enjoyable when you work with experienced movers. A professional moving company with the right tools could finish your move from a 2-bedroom apartment in about 4-5 hours. Can you do the same? Conclusion: Choose whether to do everything yourself or pay professional movers to do it for you for almost the same amount of money. Moving from one end of the country to another is not an easy job but you do have several options. You can fly and opt to have your belongings shipped, drive your car and tow your possessions, or hire professional movers to do the job. What is the average cost of a cross country move? Unfortunately, this question has no easy answer. Factors like size of the move, timing, and distance, will affect the price. While hiring movers can be more expensive than a DIY move, you can avoid a lot of difficulty with packing, wrapping, boxing, and lifting that goes with the job. You also know someone is responsible for your valuables at all times and in some cases, you can track the exact location of your stuff. Moving should be an exciting adventure that is full of hope and promise. While others may see it as the end of a chapter in their lives that requires a lot of work, huge expenses, and a nightmare of logistics, it can be approached efficiently to reduce the stress and difficulty of your relocation by hiring the right movers. A certain amount of planning and organization is required before the move. When you begin the process of moving, you can settle on the date of your move with an eye on reducing the cost by timing it well. You can work with your movers to get savings by being flexible on the date and booking ahead of time. Take an honest and objective look at your possessions to determine if you need to bring all of them with you. Open up closets and cabinets and get rid of unnecessary stuff you accumulated over time. Keep in mind that your moving expenses go up when you have a lot of things to take with you so de-cluttering your life would be in order. You should also ask yourself – What can I do myself and what do I need the movers to do for me? Knowing what you can take care of can help you to customize your moving services and save your hard-earned cash. Professional packing services are handy and convenient and cost from $15-40 per box, depending on the moving company you choose. However, you can save money if you can do your own packing. Just remember that movers are not liable for damage to things they did not pack. Moving insurance is one of the extras you may be charged by your moving company. It is important to understand that while professional moving companies do carry insurance, it only covers $.60 per pound of your valuables rather than the actual cost. If your entertainment system gets damaged, you won’t be reimbursed its replacement value. For this reason, movers offer customers the option to purchase their moving insurance at a premium. Before you purchase, though, you should check if you already have cover with your home insurance and if your level of cover is adequate. Finally, it is good to ask friends and family for recommendations for moving companies. An easier way to do this is to simply fill out our request form for 5 moving quotes so you can compare several professional movers and do your own checking. You are also invited to check out our blogs for more tips and information about professional moving companies all across Canada. When you have made the decision to hire Canada movers, you only need one more easy step – Get your 5 free moving quotes to find the best professional movers. 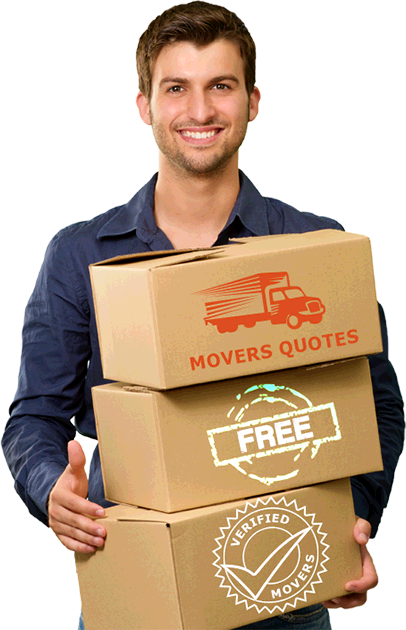 By requesting for your free moving quotes, you will receive the lowest bids from reputable movers in our network based on your moving needs. Regardless of the type of move you decide on, our moving partners offer a wide variety of moving services to suit your budget. They will also ensure you get top of the line moving services to ensure you have a worry-free and efficient move. The only thing you will have to do is get your new home ready to move into. Click request 5 free moving quotes today and look forward to a moving experience your whole family will enjoy. Minimum Charges and Extras: Is there a minimum hour charged and what is it? How are partial hours charged? Is there a minimum fuel charge? Ask about extras that will be included in your estimate like fees for stairs or if the elevator in your building isn’t working on moving day. Some companies will charge extra is the van they use won’t fit on your street or if there are any other obstacles. Make sure you understand the charges associated with all of these incidentals before signing the contract. Include all Information: Be sure to let the person calculating the quote know all of the details of the move including stairs, pets, toll roads, etcetera. All of these things can change the price of the move. All of these things have the potential to affect the cost of your move. Any information that you do not include that is revealed later will leave your original contract null and void. Be clear and accurate in your situation and what you do and do not want from the movers. Scheduling a Visit: When gathering quotes for a substantial move, anything more than a two-bedroom apartment or townhome, be sure to schedule a visit from the movers to ensure an accurate quote. Avoid companies who say that an inspection or visit is unnecessary. Quotes over the phone are rarely reliable and do not take all of the individual circumstances into account. When moving in Canada, there are some very useful resources to help you make the best decision in hiring movers. The Ministry of Consumer Services has a searchable public records database called the Consumer’s Beware List. This list shows complaints filed by other consumers and any actions taken against the company by the ministry. The Canadian Association of Movers (CAS) will also provide you with recommendations. Members of CAS must have WSIB coverage, insurance, and an actual place of business, not just a website or business card. Do your homework, gather quotes, and make the decision that best fits your individual moving needs and your budget. Price of Montreal Movers: For the average two-bedroom home move using a 14-18 foot truck, the prices of movers in Montreal range from $70-90 per hour depending on how much you have to move and when you are planning to move. This involves just the loading and unloading of boxes and furniture. If you would like the movers to pack the boxes, that will obviously cost extra. Cost of Ottawa Movers: For Ottawa Movers and Moving company in Ottawa, Prices range from $90-110 per hour with up to three movers assisting you with labor only. This does not usually include moving tools like dollies or furniture blankets. Depending on the size of the home, your moving costs within the city can range from $450-$750 dollars. Pricing of Movers in Toronto: Moving costs are a bit higher for movers in Toronto and Toronto moving companies ranging from $120-$200 per hour. If you are trying to estimate based on the size of your home, it comes out to about $1 per square foot. Moving a one-bedroom apartment of about 700 square feet will cost you about $700 depending on the amount of stuff you have and the time required to move it. Calgary: Moving costs here run less than $1 per square foot normally. The average two-bedroom townhome move costs around $900. Staying within the city limits lowers the costs due to less fuel-usage and limited time. Vancouver: This is the least expensive moving area overall. At about $7.50 per square foot, your average 1000 square foot apartment move will cost a little over $700. Prices increase the farther you travel away from the city center. When moving across country, let’s say from Toronto to Vancouver, the cost increases greatly. Prices can range from $3500-$6000 depending on amount of stuff. According to industry experts, an interstate or cross-country move of over 1000 miles averages around $5500 just for loading, transporting, and unloading. Obviously, the price will increase if movers are doing the packing and unpacking for you. Before you make a final decision of the choice of your movers or moving company and sign that legally binding contract, look for just a little more information. Take some time to do a little homework about the moving company you are most considering. You have the right to request their motor carrier number and insurance policy coverage as well as background information about the movers they employ. You should also have a detailed copy of the estimate that includes any tariffs or extra fees for things like stairs or tape. Price should not be the be all and end all determiner for which moving company you select. Look at the quotes and see which company feels most right for you. Any quotes that are extremely low or extremely high should be a red flag to avoid choosing those particular companies. 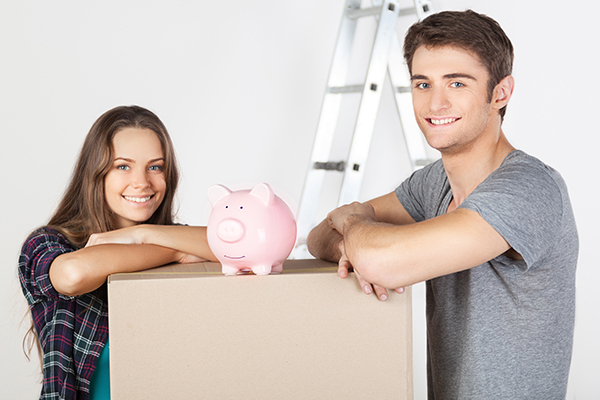 You can also take a look at our article about 10 Tips To Save On Moving Costs and Pay Less For Your Move. Once you have made a decision, put everything into writing. Look for a contract with a non-binding to exceed agreement clause. This means that you won’t be charged more than the original estimate even if the movers take longer or use more supplies. According to the laws in most provinces, the final cost cannot be more than 10% above the contract or agreed upon estimate. Make sure that the contract includes the total cost of the move and not just the hourly rate; this goes for quotes as well. However, if you were not completely forthcoming in the quote process about the amount to be moved or the conditions of the move, the contract is no longer valid. Having everything in writing protects you against any he-said, she-said headaches in the event that something does not work out according to plan. In the end, it is important to know what you are getting yourself into when it comes time to move. Plan your budget according to your personal needs and find a moving company that you are comfortable trusting your household to. Don’t just go with the highest ranking mover on the first Google page you find. Know what you need and who can best meet those needs. As with any purchase or service, buyer beware, but is it infinitely more useful for the buyer to be aware.